Chinese tech giant Xiaomi's cheap and cheerful smartphones topped the Indian market last year, beating Samsung into second place. Xiaomi grabbed a 28 percent share of the world's third largest market last year compared to Samsung's 24 percent, according to market researcher Counterpoint Research last Friday. Xiaomi had overtaken Samsung in some quarters in the past, but it was the first time it finished first for an entire year. 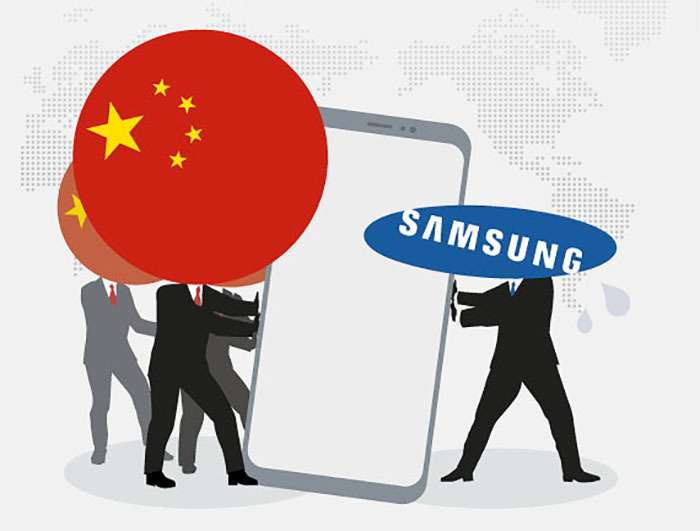 Samsung's market share was the same as in 2017, but Xiaomi overtook it by gaining nine percentage points. Overall, Chinese firms took nearly half of the burgeoning market in India, where everyone always seems to be glued to their phone, with Vivo taking a 10 percent share and OPPO eight percent. India is nearly the only big country in the world whose mobile phone market is still growing. Some 145 million smartphones were sold there in 2018, up 10 percent on-year, and another 185 million feature phones were sold, up 11 percent. Last year Samsung reopened a plant in Noida that is now the country's biggest mobile phone factory, and the ribbon was cut by President Moon Jae-in and Indian Prime Minister Narendra Modi. But Xiaomi has six mobile phone plants in India and increased the number of customer service centers to about 100.